ENCINITAS — A proposed ordinance in Encinitas would pave the way for the city to return to its agricultural roots — and also likely set up a debate over whether farming and suburbia can coexist. The City Council recently approved the framework for an urban agricultural ordinance that would, among other things, grant homeowners the right to have a garden less than an acre in size or a farm on land between one to five acres, sell the wares of said farm for 12 hours a week and conduct six agricultural related events a year with 25 or fewer people in attendance. The proposal would also set up a new type of permit that would allow recipients to have even larger farms and gardens, sell from larger stands and host twice as many so-called “agri-connect” events per year. Proponents of the ordinance believe that the rules would bring the city more in line with the spirit of its land-use documents, which acknowledge the city’s agricultural heritage and discuss accommodating such uses. They also point to the revival of agriculture across the country in many cities, which prompted a number of cities to revamp their existing rules governing agriculture use. 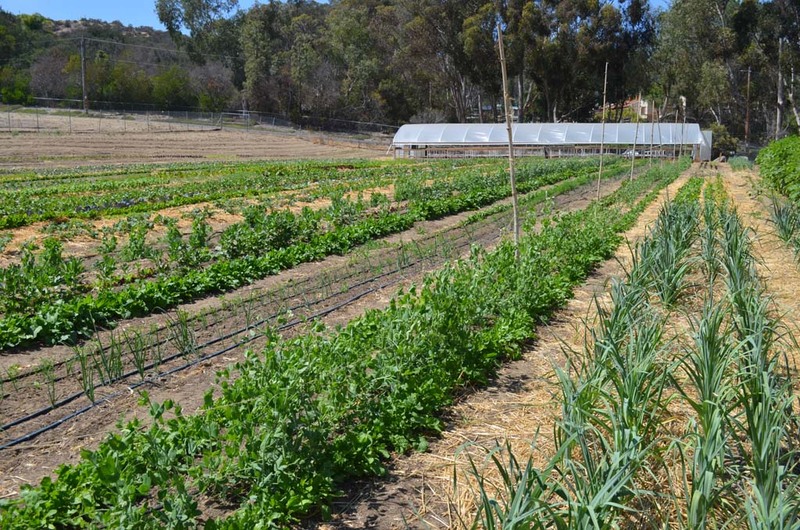 One such city was San Diego, where city officials in recent years adopted a new ordinance that granted homeowners the right to farm on their properties or on vacant land. Not everyone, however, supports the concept. Nancy Whitfield lives on Park Lane, next to Coral Tree Farms, where neighbors and the farm operator clashed this year over whether the farm was permitted to exist there. Whitfield says the new rules would open up a Pandora’s Box that would infringe upon the rights of neighbors who moved to the area because of its suburban feel. Whitfield said the unintended consequences of such an ordinance could be wholesale businesses popping up in residential neighborhoods. “You are not talking about agriculture…you are speaking about business in a residential zone,” she said. Several of Whitfield’s neighbors echoed her sentiments, telling the City Council that the ordinance sounds good on paper — until a farm opens up next door to you. “I suggest you let a farm be present on your street before you vote on something like this,” Brian Crouch said. Members of the City Council, during their deliberations on the new rules, said they were cognizant of the precarious balancing act between urban farming and residential living. Two of the council members — Kristin Gaspar and Mark Muir — suggested the city host several workshops and postpone the vote on the framework until the council heard from a larger cross-section of residents. The city had held several public meetings of a two-council member subcommittee that crafted the framework. The meetings attracted a number of stakeholders and supporters of urban agriculture, but didn’t have many neutral residents. Teresa Barth and Lisa Shaffer, who served on the subcommittee, believed prolonging the public input process was a tactic to kill the ordinance. Both sides, however, ultimately came to a compromise in which the city would develop a draft ordinance that it would then release at a public workshop to give the public opportunity to weigh in on the details of the rules prior to a public vote.